DIN-Rail Mount Dimmer 2ch 6A /per ch. with scene controller (Overheat, Overload, Surge Protection) single phase both 220/110 VAC, 50-60Hz (Green operated supplied by 24VAC/30mA) Small and elegant with easy labeling space, output status LED indicator, network health, broadcast address button and Momentary channel button. Can be used in any location that require energy saving, intelligent control such as apartment, Villa, Offices, Restaurant, Hotels or factories. Can be Manually Programmed by any Electrician on site without need for PC. Q. Does dimming affect halogen lamp life? A. No, not at all. 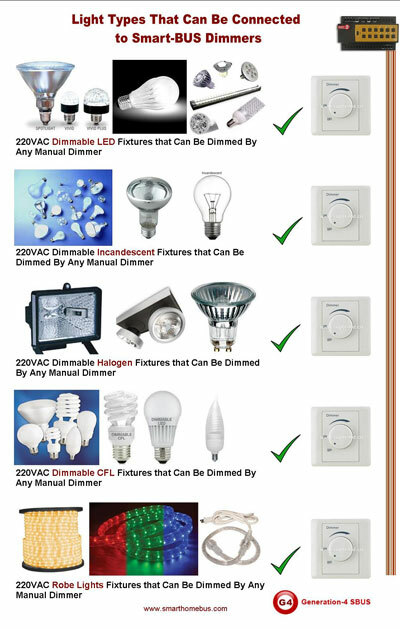 Dimming increases incandescent lamp life. Halogen lamps are incandescent lamps with a tungsten filament. Smart-Bus's pilot test data suggests that halogen lamps will have an expected lamp life similar to other incandescent lamps when dimmed. As an example, 1 type of halogen lamp with a rated life of 2,000 hrs dimmed to 80 V has a life extension of at least 5 times. Q. Why do dimmers get warm, and is this safe? A. 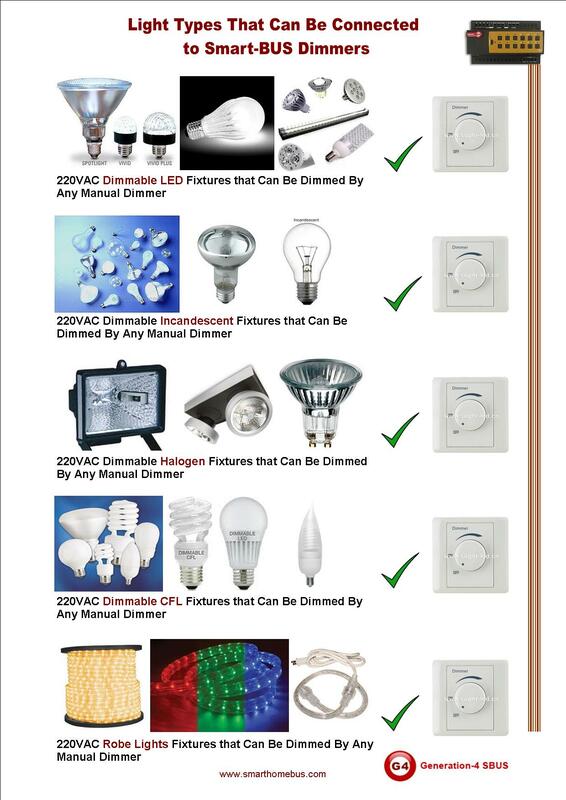 The technical explanation: During normal operation, solid-state dimmers generate heat. A solid-state dimmer is roughly 98% efficient – 2% of the power is dissipated as heat, which causes the dimmer to feel warm to the touch. The closer a dimmer is run to full output and the higher the load (watts) on the dimmer, the warmer it will feel. This is perfectly normal and safe. 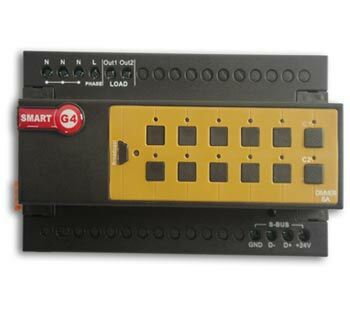 Smart-Bus dimmers are designed to the strictest UL safety standard. Q. 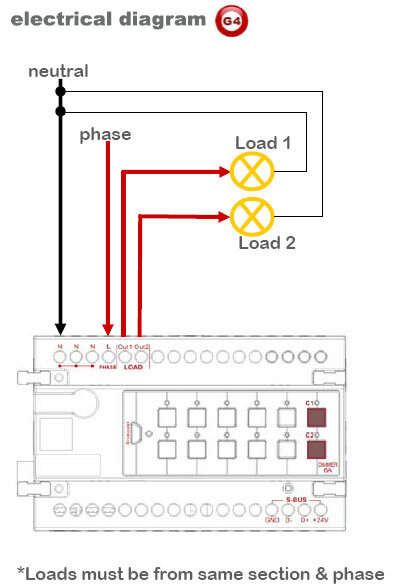 How Much Load can, Din Rail, Dimmer take? 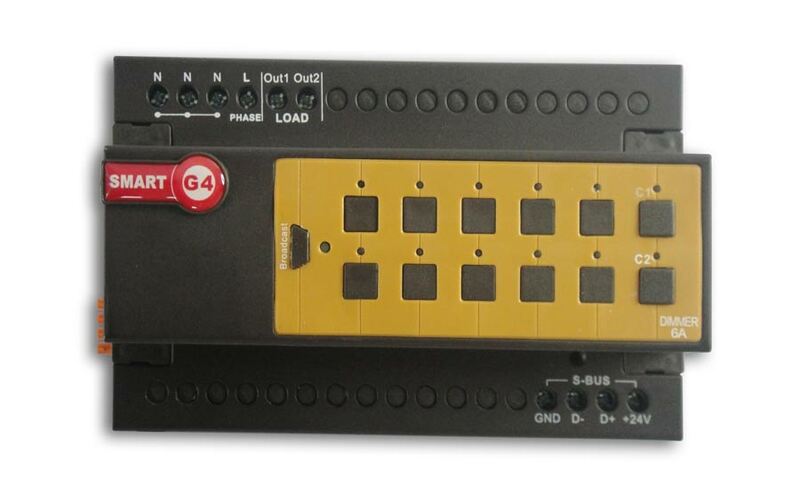 A. Smart-Labs ® has designed the (G4) dimmers to take a Maximum Load of 12Amps, however it is always advisable to de-Rate and calculate maximum load at 10Amps only as per Specification sheet. Q. 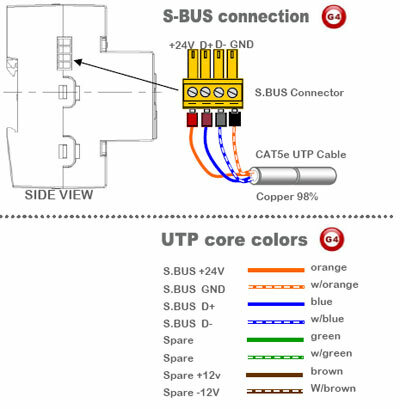 What fuses are used to protect against overloading inside the Smart-BUS? Q. 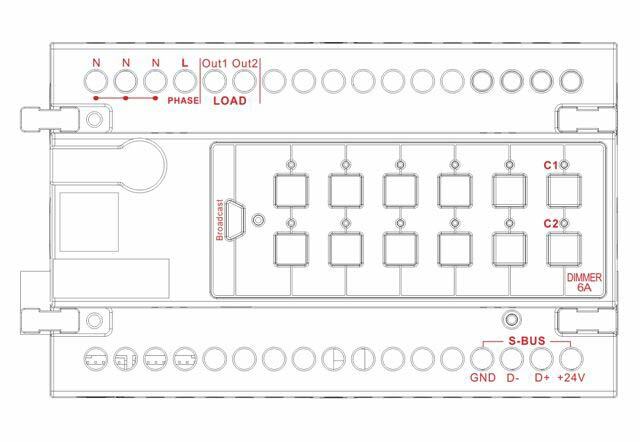 Does every S-BUS Dimmer have scenes built into the module, or we have to buy scene controller? A. 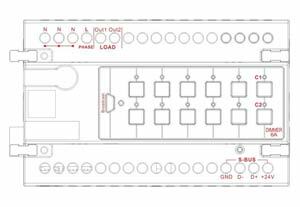 No need to buy any extra modules, each dimmer has scene controller function built in. Smart-Group always adds all needed features as possible inside same module to help save money, time, space and environment. Q. what if we have 2 channels installed on the 6A dimmer, but one of them is only 2Amps, while the other one is 7.5Amps, will that burn the dimmer? A. As long as the total load is below 10Amps collectively, the Dimmer will remain functional. Meaning that 7.5Amp Load can be handled without any issue since the other load is below 2Amp. making both loads total 9.5Amp that is within permissible range. Q. How many dimmers can be connected with the Train connecter that is built in the dimmer Module?